I could tell you all that the guys signed a contract with Concord Records last October and this is the first single off their soon-to-release album. I could tell you all the album, Give It Back To You is a great mix of new tracks and previously released on EP ones and includes my personal favorite, Don’t Let Me Get Lonely. I could tell you all to pop over to iTunes for a preview listen to the whole thing and even suggest you pre-order a copy afterwards from there or the band’s website. Or I could just tell you “this is from The Record Company” and that would pretty much say it all. Give it Back to You drops February 12, 2016. I can’t prove someone spiked the water at Bungie causing the dev team to go all Venus in Furs on the Crucible but it is the most plausible theory. Floating dead bodies, weapons not registering, supers not registering and my personal favorite – death by your own Ward of Dawn – made the past week of Mayhem Clash even more…er…mayhem-y. The chaos spilled over into the Nightfall earlier today as one particularly stubborn door in the Sunless Cell strike refused to open. The latest tweet from Bungie has the Nightfall Strike working again (I haven’t given it a try yet) and Cosmo popped up on the forums a few hours ago to let everyone one know that they are aware the Crucible is tripping. Finally, break out your Bladedancers, hovering Warlocks and sticky grenades because the weekly featured Crucible playlist is Inferno Clash. Who needs radar? 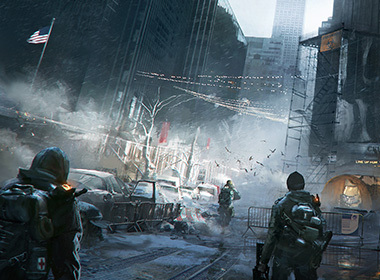 Never has a year of gaming felt more like ‘so many games, so little time‘ to me than 2015. Dragon Age Inquisition released in late 2014 and we played it well into 2015. I still haven’t finished the Jaws of Hakkon DLC but I did manage to finish the main game as well as Descent and Trespasser. There were a few plot points I would argue fit POORLY with my Inquisition and I will never, ever pick up a shard in any play through again, but for the most part I really enjoyed the game. I may have lost an arm but I gained a puppy and a Cullen so it all balanced out. Destiny also released in late 2014 and our Guardians are still protecting The Last City on earth. 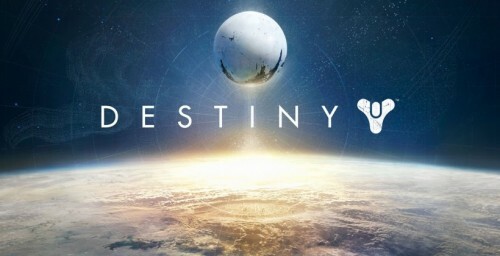 Destiny is part FPS, (first person shooter) part MMO and part Vegas Casino. When it succeeds we get the exquisite Vault of Glass and the happily Cayde-heavy The Taken King. When it fails we get the soul crushing grind of endlessly infusing exotics or the crappiness of removing paid content for players who don’t buy DLC. We skipped Elder Scrolls Online when it first released on PC. It was just too much money and too big an investment in hardware for us at the time. When it ported to Xbox One last year we picked up a few copies and went adventuring in Tamriel. It has been a lot of fun but like most MMO’s it just requires more of a time commitment than I can spare. My youngest daughter and I tend to play it as a casual rpg where we are Khajiit princesses who save the Kingdom while riding giant saber cats. Splatoon was huge in our house this year with both girls playing it. They are dedicated Nintendo fans and were excited to have a FSP (first squid painter) for themselves. Nintendo also released The Legend of Zelda: Triforce Heroes which has been the cause of more yelling in our house than any other game…ever. I am terrible at platformers but the girls are patient with me on those rare times we all play together. On the plus side, I will never stop being amused that we are saving a princess from bad fashion. I haven’t played much Witcher 3:Wild Hunt but Kahuna is enjoying it. As much as I like the structure and graphics I can’t quite get enough interest to finish it. It is very much Geralt’s story, not mine and that affects my enjoyment of the game. We also played Minecraft, Animal Crossing Happy Home Designer, Brothers a Tale of Two Sons, Majora’s Mask 3d, a horde of Toca Boca games and many Smash tournaments. I also spent some time modding Skyrim and wishing Dragon’s Dogma Online was available to play outside Japan. And I still haven’t had enough coffee. While I fix another cup you all listen to singer/songwriter Mike Wilson. Mike’s tracks are available on Noisetrade and iTunes. If you like the vid you should pop over and pick a few up. And send me more coffee…please. I had a 320 Ghost shell drop for me in a match!!!!! 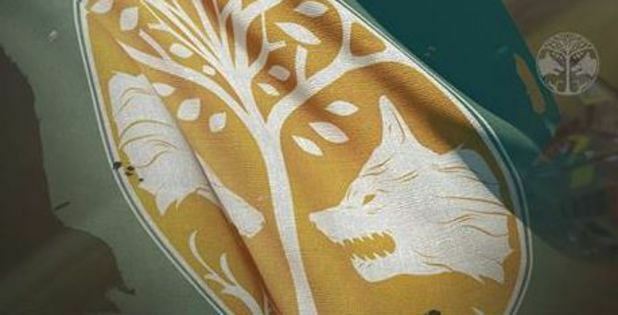 This past week the PvP event ‘Iron Banner‘ ran on Destiny. I got a 320 Ghost shell, a 311 rocket launcher, a wolfswood bond for my Warlock (which I missed the first time it was offered) and several pieces of armor. Iron Banner was kind of a mixed bag this time. If you were lucky enough to get good drops it was a decent event. If you were not it was an endless slogfest of lag and disappointment. At one point I got a postmortem kill notice while I was leaping around very much alive. My supers either killed everyone on the map or hit a player point blank and did no damage. However, Greywrath and I had a good time. We ran a two player team for most games (at one point players from the clan got together and ran a full team for several matches). We were happy with our drops and amid the lag we both had some good matches. I even picked up a Phantom medal on Exodus Blue. So, I popped over and found a cool vid from Sniper De Jure. This is on the Bannerfall map and the fact that he is running a gunslinger hunter had nothing to do with my choosing his vid. Nothing. Seriously.